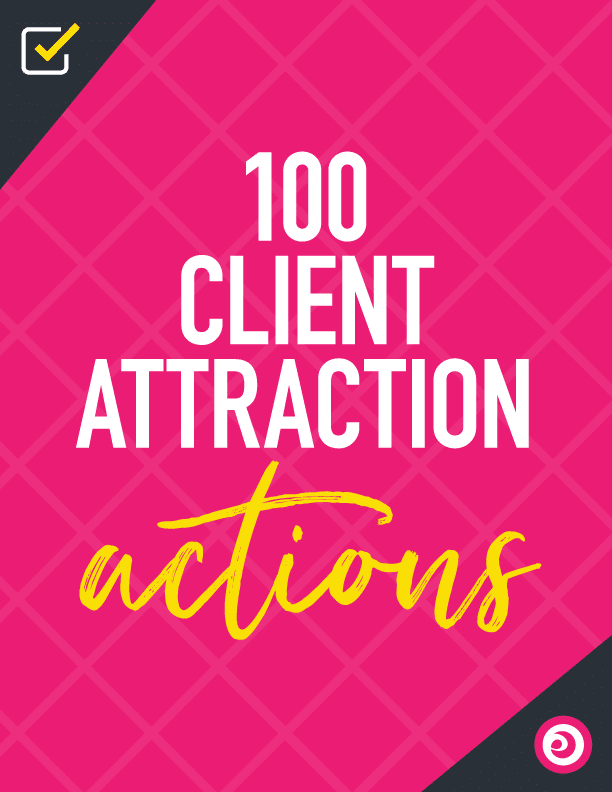 Attracting clients fast is not about blogging, sales funnels, growing your Twitter following, or optimizing your website. All of those things will help you build awareness and even convince and convert your dream customers in the long run, but they don’t work like a magic bullet—slow and steady is the name of that game. 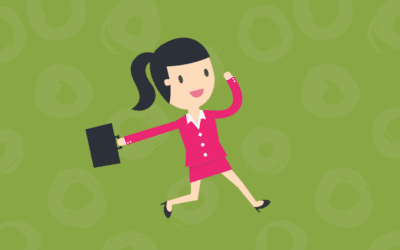 If you’re just starting out, or if you’re in the process of repositioning your business, you need a short game too. WHO: Who is it for? Who is your ideal client? WHAT: What services do you offer? HOW: What’s the difference between you and your competition? Once you feel confident in your elevator pitch, it’s time to get out there and get yourself some clients! This is the lowest hanging fruit but don’t underestimate its power. 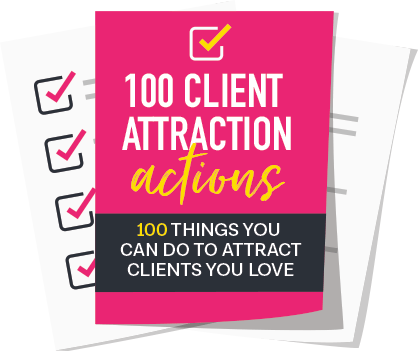 Your friends, family, and colleagues want to support you, so make sure they understand what you do and the types of clients you’re looking to attract. Reach out to them and give them your elevator pitch! 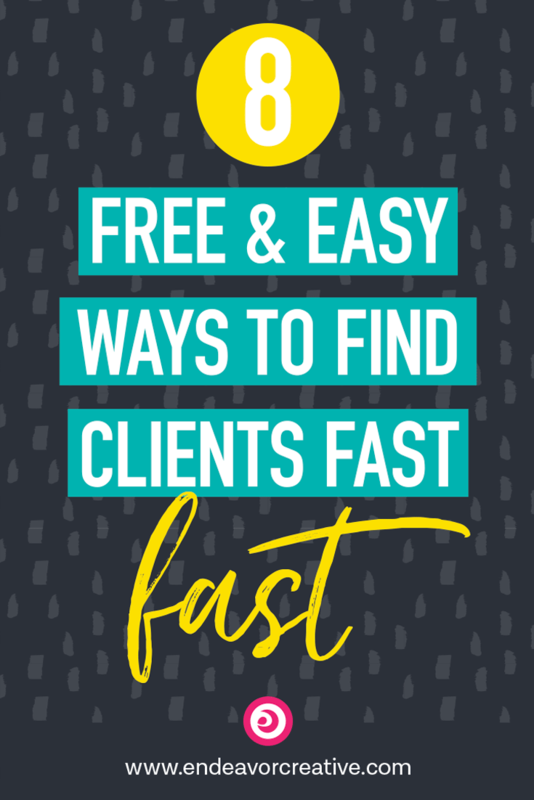 Tell them you’re looking for clients and you need their help (you would be surprised how helpful people can be when you just ask). Reach out to your “connectors” and get them on a 1-1 call or invite them to coffee or lunch. Who are the “connectors” in your life? You know the ones: they’re always in charge of organizing events and parties and spend their time at those events introducing people to one another. They love creating connections. They’re also people who are very well connected themselves: they know everybody. Reach out to them, give them your elevator pitch, and tell them you’re on the hunt for clients. Again, ask them for help and don’t feel shy about that because this is what they live for. Their brains will start spinning with ideas about who they can connect you with. If you’re in close proximity, invite them out for lunch. I can’t tell you how many clients I landed in the early days of my business by just inviting my connector-pals out to lunch and buying them a sandwich. Reach out to people who work in complementary fields who also work with your target customer. One of the fastest ways to get your dream clients in your pipeline is by forming a referral network of allies you can collaborate with or with whom you can refer clients back and forth. As a designer just starting out, I also bought a lot of sandwiches for developers, copywriters, marketers and public relations professionals. This led to quite a lot of referrals and collaborations too. These days, because my business is location-independent, I use Zoom to schedule “let’s get to know one another” meetings. People who don’t know you well may not trust you with a client referral, but getting on a video chat is a great way to form a real human connection and establish trust. If you feel shy about this, approach it in the spirit of service. You’re helping their business by getting to know them so you can refer your clients to them too. People are generally very open to these types of pitches and bonus⸺you might just make a new friend. If you’re selling a high-ticket service⸺which requires building trust which takes time⸺is there something you can create as an initial purchase that’s a lower risk at a lower price? People who’ve purchased something from you before (even if it’s just a few dollars!) are more likely to purchase your more expensive offering. The goal isn’t to necessarily make a profit, but to earn their trust and earn a repeat client. If you’re a coach, maybe it’s a session offered at an introductory rate. 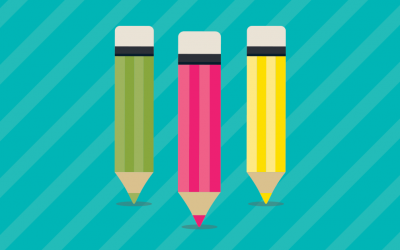 If you’re a designer or a marketer, maybe it’s an audit or a road-mapping session. When your client pipeline is empty, your first priority is to get more people aware of you so they can tell others about you, and there’s no better way than to just start working with people. 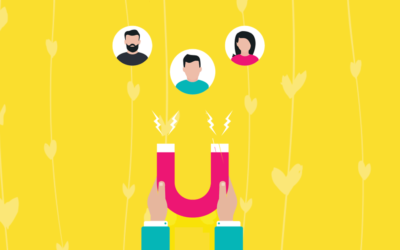 Think of these customers as “beta customers”—helping you to test things out, get feedback, give you reviews & testimonials that offer social proof to others, and encourage word-of-mouth referrals. These should be people YOU CHOOSE strategically, who are willing to help you in return and agree to that in advance, and not just any old person looking for free labor. (Hell no.) They must fit your description of your target customer and ideally, they’re not a close friend. (Close friends may not give you the objective feedback you need). Whether that’s a specific deliverable or a set number of hours. In other words, make sure you all know when the work ends before you begin. Ideally, it’s something small but valuable. Share your offer with your mailing list, social media following, colleagues and friends. Tell them you’re looking for X number of beta testers for a new service offering. Explain the benefits and value of the service and the type of client you’re looking for. The terms of the transaction should be contractual like any other. Explain that you’re offering this service for free in exchange for a testimonial, the right for you to share the results in a case study, and if they’re happy, that you expect them to refer your service to others. When I use beta testers, I have them sign a contract like any other client. (I just don’t send them a bill.) When the service is complete, I follow up and ask for their feedback, criticism, and an honest review/testimonial. They key to doing free work is that you must get value in return—that is, you must ask for honest feedback, referrals, testimonials and reviews in advance and in exchange for the free work. This is especially useful if you’re just starting out and don’t have testimonials to prove to others you’re trustworthy. I recently did some free consulting for a new service I’ve created with a colleague who works in a related field. Now, having been through my process, she has a deeper understanding of what I do, and that has led to loads of referrals. The key here is that I chose her. I offered and I asked her for something in return. And because what I did was valuable to her, she was delighted to help me by sharing her experience with others. Don’t make this mistake: When there is no exchange of value, “free” will have zero value in the mind of the person you’re doing the work for and it will not lead to good referrals. By saying, “I’m testing out a new service offering and trying to grow my referral network. If you’re interested, I’d love to help you with a [free service] in exchange for telling others about the experience,” then they understand the exchange of value and you’ll be guarding yourself against being taken advantage of. Share the results of your work on your website and social media. You can also ask your clients to share the story with their followers too. Don’t be afraid to shamelessly self promote and brag and boast when you get results for your clients! When people see real-life examples of the outcomes you create for others, that’s one of the best ways for people to instantly “get” your WHO, WHAT & HOW. Once you’ve identified people in your target audience, introduce yourself to your new connections. Don’t go in for the hard sell or pitch something on the first interaction, just send a personalized message (by learning a bit about them first) using this formula: Mention two things about them + one thing about you. There are all kinds of scripts and conversation-starters you can find online if this kind of outreach feels icky and weird to you! They key is to focus on them and how you can be of service to them, not to drop your resume bullet points on virtual strangers. Before you have a large audience of your own, look for ways to get in front of audiences that are already established. Identify influencers your target customer is likely to follow and offer to write a guest blog post, be a guest on their podcast, or do a joint webinar. If you don’t have a Facebook group of your own, find ones where your dream customers are likely to be and introduce yourself (again, elevator pitch) and be helpful.